This patio heater gas valve has been designed to meet the different requirements of the heater WITH PERMANENT PILOT sector. 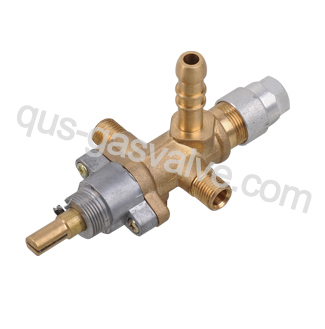 QUS-412A Single nozzle flameout safeguarding brass valve.using import magent which is applicable for outdoor heater.aluminum cap,aluminum nut. package: 200pcs/ctn with export carton then with a pallet for damage during shipment.